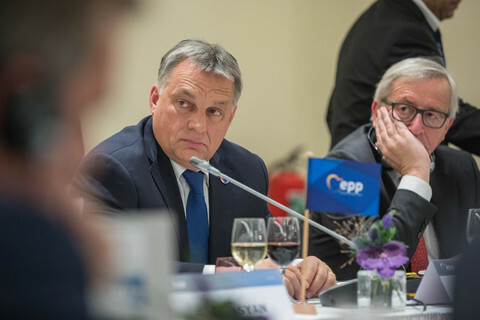 When Hungary's prime minister, Viktor Orban, arrived at last Sunday's (25 October) mini-summit on Western Balkan migration, his opening remark to the Brussels' press corps sounded like a provocation. It came from a leader who has been repeatedly told he is wrong, but who now feels proved right. Toning down his signature, pugilistic style, he also told press that he is just an observer in the Balkans talks because he has fixed Hungary's leaky border. He was equally serene inside the chamber. Other Balkan PMs did not take kindly to a lecture, by German chancellor Angela Merkel, on how to slow the flows of refugees. 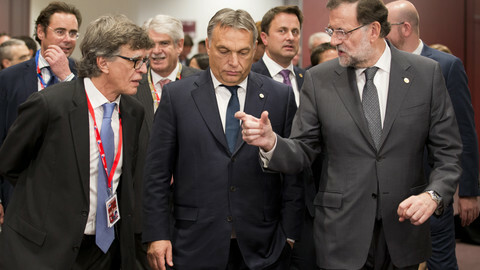 But Orban "was a gentleman compared to the other leaders from the region", a source familiar with the talks told EUobserver, adding: "I’m sure he had a smirk on his face". The self-assured silence marks Orban's shift from the right-wing fringes of European politics to a new mainstream. Or, perhaps, the shift of the European mainstream to the right. 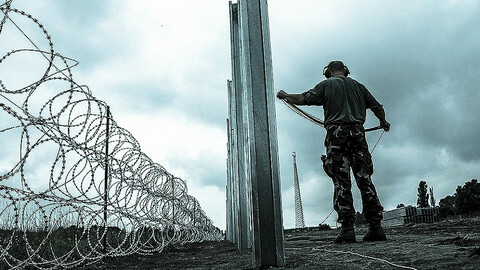 Orban himself fuelled the move by erecting fences on Hungary's Croatian and Serbian borders, by changing national legislation to enable him to turn back refugees, and by deploying the army to help deal with the crisis. Austria, once critical of Hungary's razor-wire barrier, has now said it is considering a fence of his own. Slovenia is mulling a barrier. Croatia is not ruling it out. 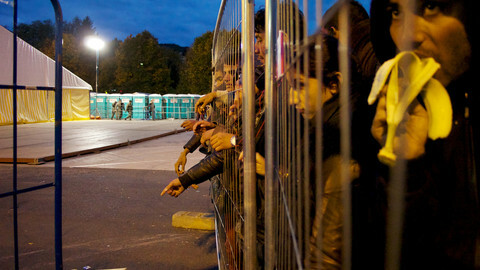 Bulgaria, Romania, and Serbia have also said they are ready to build fences, if necessary. Some contend that if Hungary had not sealed its borders in the first place, there would be no need for the other barriers. 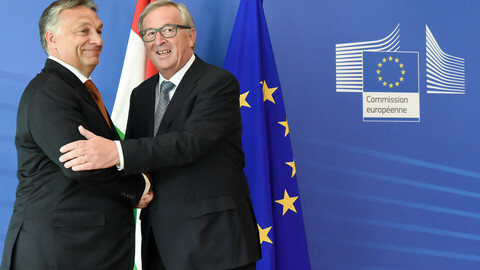 But Orban says he is merely upholding the EU's Dublin and Schengen asylum and border security rules, by protecting the EU's external frontier and by ensuring that migrants come through official crossing points only. "I think this has changed the perception in Europe, the discourse is different," Gyorgy Schopflin, a Hungarian MEP from Orban's Fidesz party told EUobserver. "There are people out there who say we have to grit our teeth, but, maybe, we have to admit that Orban was right after all," he added. "Hungary acted early, and we did it in the teeth of Western disapproval. Vindicated? Certainly, in the pragmatic sense." Orban has, for years, been harangued by various EU capitals on common values, human rights, and the rule of law. European Parliament resolutions and European Commission inquiries have added to the outcry on his style of rule. His bullish use of his two-thirds majority in the Hungarian parliament to overhaul the constitution and to push through legislation cementing his party's power made Europe feel uncomfortable. But his critics misunderstood just how small a leverage they had. There is no viable opposition in Hungary. People's disenchantment with the democratic transition of 1989 - which brought unemployment and corruption - has created fertile ground for populism, whether Orban's, or Jobbik's, the Hungarian far-right party, the third largest in parliament. Never shy of a scrap, Orban seldom backed down to Europe. 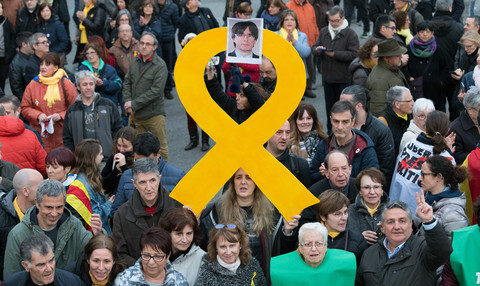 "The stronger the attack, the stronger we need to fight back," he said of his "ars politica" in Madrid, at a recent congress of the conservative European People's Party, to which Fidesz belongs. Despite his EU critics, he could always count on EPP backing, including tacit approval by Merkel, despite her different views on the meaning of democracy. 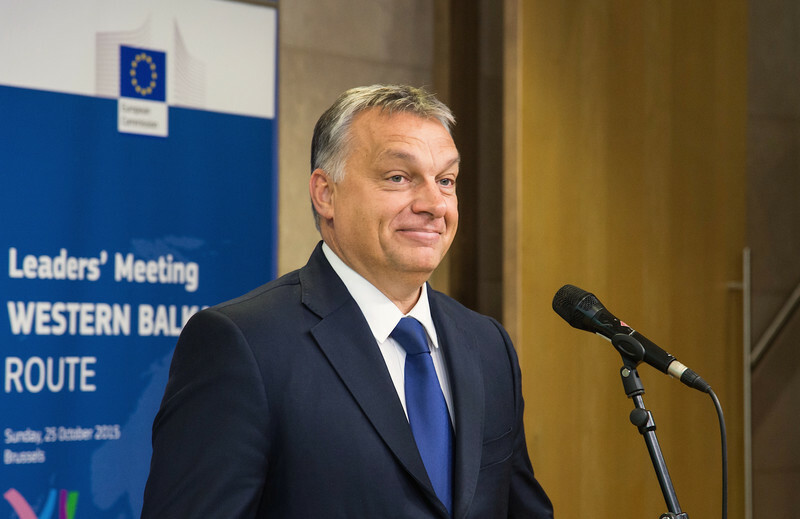 "He must feel pretty vindicated now," said another source, who worked closely with Orban over the last few years, but who asked to remain anonymous. The source noted that, for all their differences, Orban is concerned that Merkel might not politically survive the refugee crisis. With no coalition partners and no domestic opposition to keep him in check, Orban is free to speak his mind - to the envy of some EU leaders. Back in January, after the Charlie Hebdo attacks in France, he was the first to link migration to terrorism and to describe it as a threat to the European way of life. By putting the crisis at the center of his agenda, he not only stole momentum from Jobbik, which had been poaching Fidesz voters, but also positioned himself as a right-wing authority on the situation. "Orban, for years, had hoped that an issue would come along where he can prove he's right and the Western liberal elite is wrong, where he could make a mark on the European political scene," the Hungarian source said. "He has a missionary zeal." But for all the schadenfreude of his admirers, the Orbanisation of EU politics is causing concern in other circles. Csaba Toth, an analyst with the Republikon Institute, a liberal think tank in Budapest, told this website the last thing the EU needs is more populists. 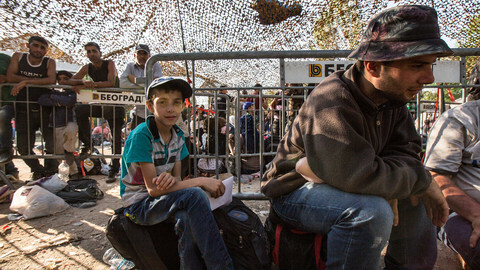 "Others envy the political gains Orban is making with the fence. While it is not a solution to the problem, they see it's popular with the electorate," he said. He noted that Austria's swing to the right comes amid a threat to the grand coalition posed by the rise of the far-right FPO party, the Austrian version of Hungary's Jobbik. "The Orban contamination effect means that others see you can be a populist in government," Toth said. 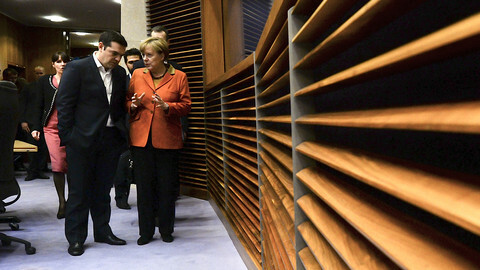 "If other leaders start to copy that, it will be a challenge for the EU."